Call the Drum Spirit Concert 2016 is funded, in part, by the National Endowment for the Arts, public funds from the New York State Council on the Arts, and public funds from the New York City Department of Cultural Affairs in partnership with the City Council. Featured image (visible within post) by Chantal Regnault: Frisner Augustin drumming in Battery Park, Manhattan, July 5, 1986. This entry was posted in Event and tagged Dance, Drumming, Drums, Frisner Augustin, Haiti, Haitian, Haitian Dance, Haitian Music, Music, Vodou. Bookmark the permalink. 1 Response to Call the Drum Spirit! Rele Ountò! 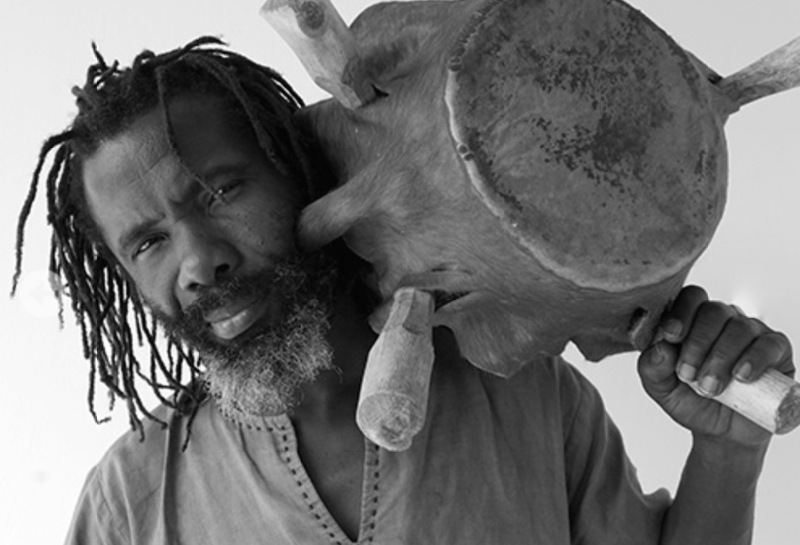 Pingback: Call of the Drum Spirit is TONIGHT | VoicesfromHaïti ~ Nou bèl. E Nou La.